An astonishing number of very walkable, mixed-use, vibrant, historic rowhouse neighborhoods interspersed with small, neighborhood-based grocers, shops, schools, offices, pubs. 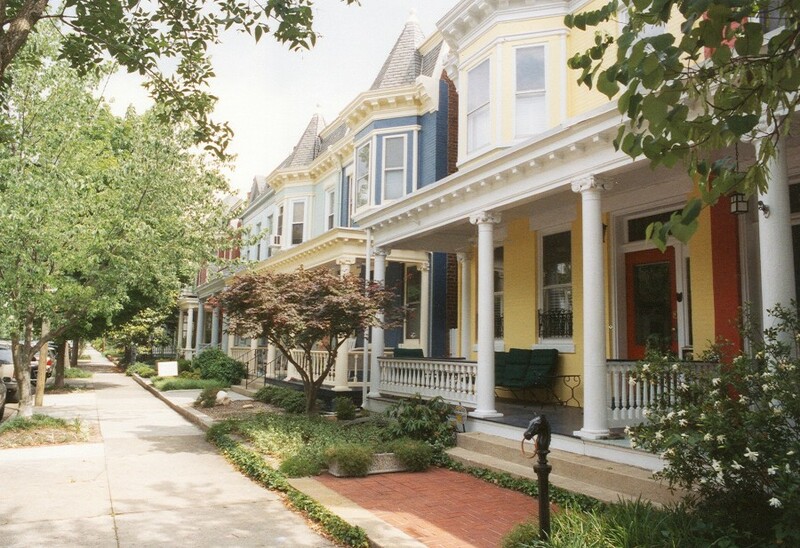 (Richmond has the largest Victorian neighborhood in the nation). 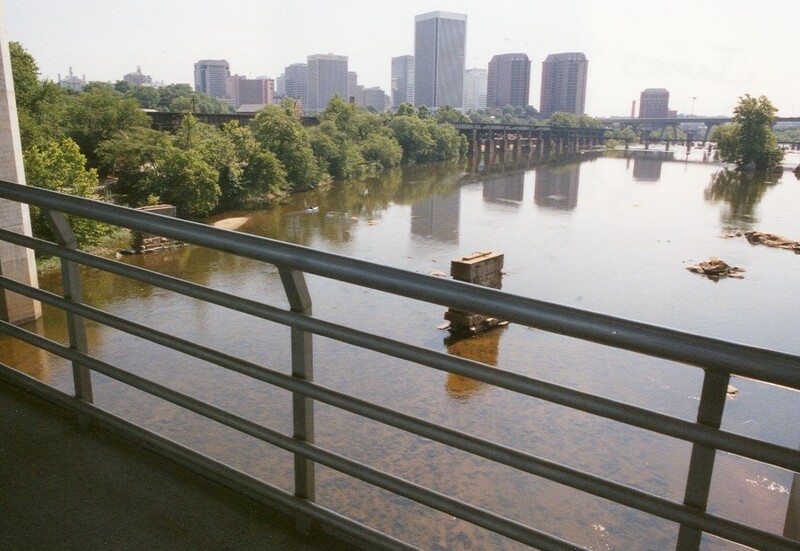 Best walkable neighborhoods: Fan, Shockoe Slip, Church Hill, Oregon Hill. A large number of alleys (many of which are cobblestone). Very modest use of emergency vehicle sirens (particularly at night), and no apparent use of police helicopters. Which stands in strong contrast to Gutless Gainesville FL, my current home, where deafening sirens and continuous police helicopter "raids" now are nearly continuous, and creating a WAR ZONE ambience for in-town (war-torn?) Gainesville. Vibrant, big-city nightlife. High energy, and many shops open till late at night. Except for downtown, a noticeably 24-hour city. Large selection of historic homes, and a rich historical past. 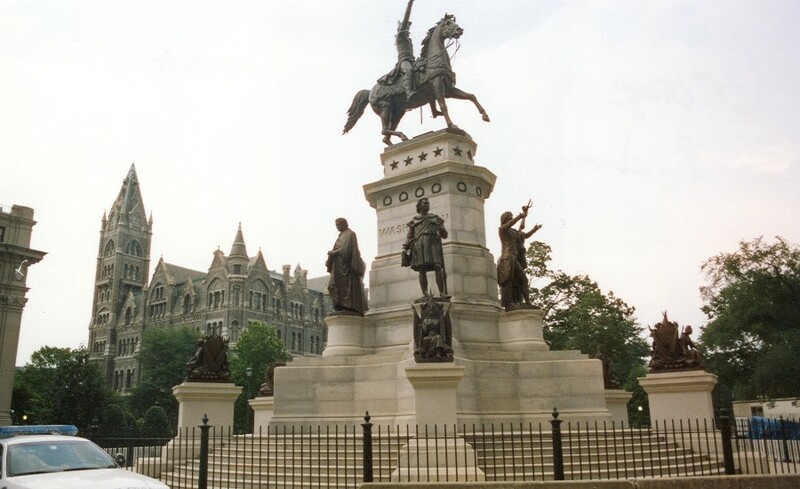 Monument Avenue, filled with highly impressive monuments on a very impressive rowhouse boulevard, is magnificent, and clearly breeds civic pride. Impressive number of microbrewery pubs. Impressive number of restaurants serving high-quality meals. Current efforts to revitalize downtown and the James River waterfront (although downtown and the riverfront are not there yet). Carytown is an impressive, vibrant, healthy retail corridor near downtown. Impressive art community in the city. Cosmopolitan, big-city feel is evident, despite the somewhat conservative nature of the city. Contra dance community appears to be healthy in Richmond. Mountains, trails and rivers are nearby. An astonishingly high percentage of streets in the city are one-way, which surely leads to high average car speeds, more inattentive driving, less healthy retail, and more dangerous walking conditions. I've never seen anything like the number of one-ways in this city. Even on neighborhood streets with on-street parking, speeds are high because travel lanes are typically very wide. An astounding amount of downtown real estate is consumed by deadening gap tooth parking lots (often, catastrophically, at street intersections) and an enormous number of parking garages (that are not wrapped with retail or office uses). A ruinous interstate highway beltway around the city, which surely drains a significant amount of retail and residential energy from the city to sprawl areas. Often, the freeways are overpasses, which degrade underlying residential, retail and pedestrian areas. Richmond is not dominated by a major university, which presumably means there is less of an intellectual presence, and a more modest selection of major speakers and entertainers who come to the city. The downtown, while showing recent evidence of redevelopment with residential, office and retail, remains tawdry and dilapidated in many places, indicating a history of downtown slum and abandonment. People I spoke with indicate there is very little interest or development of new urbanist projects in the area. People I spoke with were unfamiliar with the term "road diet," and don’t believe such road modifications are likely in the area. Despite recent developments, downtown continues to have a quite small residential population, creating crime, retail, vibrancy problems. Distant from scuba diving and (high quality) ski destinations, although Richmond has both a dive club and a ski club. Virginia Commonwealth Univ, I’m told by some, is taking anti-urban actions by installing developments which turn their backs to the city. The university is also draining energy from sidewalks by installing skywalks. Lack of a public performing arts center. Mediocre bus transit (although the inter-city train is apparently impressive).